Harutyunyan should be released and acquitted, but he should be addressing his pleas to Armenia’s general prosecutor instead of the prime minister, said Arthur Sakunts, chair of the human rights group Helsinki Citizens’ Assembly-Vanadzor. “What he is asking of Pashinyan is completely illegal,” Sakunts told Eurasianet. “The general prosecutor can file a petition to the court. The only thing that government can do is to change the detention regime,” he said. We call on the heads of CEC and CTR to reconsider the expediency of their participation in the respective commissions and be dismissed to regain public trust in the elections. During the last few days human rights activist Artur Sakunts’ interview of 2001 was actively circulated in the internet, where speaking about the regulation of Karabakh conflict, he states that compromises are necessary and that some of the occupied lands should be returned to Azerbaijan. Regarding the aforementioned subject Politik.am talked with human rights activist Artur Sakunts, Head of Helsinki Citizens’ Assembly Vanadzor, who pointed out that it was the subsequent campaign against him and the revolution. 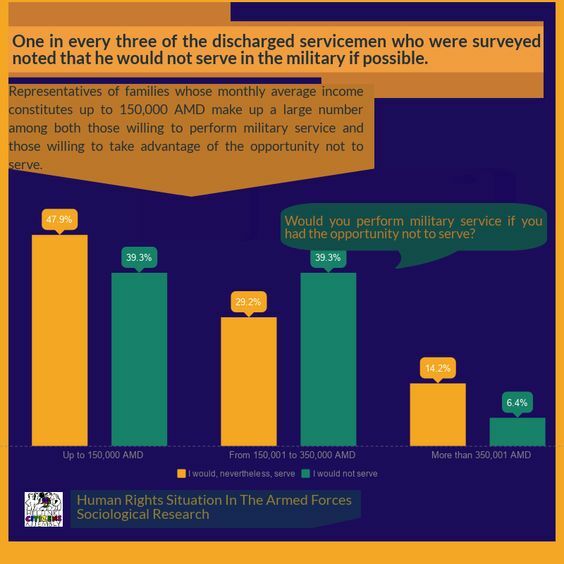 During the summer call-up of 2016, with the support of HCA Vanadzor, one person with health problems was granted an early discharge from military service; 1 more conscript was declared as unfit for military service; 2 conscripts were declared as temporarily unfit for military service, and 2 conscripts were granted a deferment of 5 months. 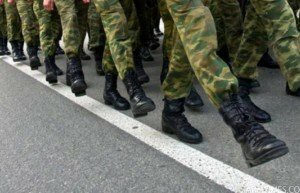 Criminal cases were initiated against three of them on the ground of military service evasion although all of those persons did not agree with the results of their health examinations. 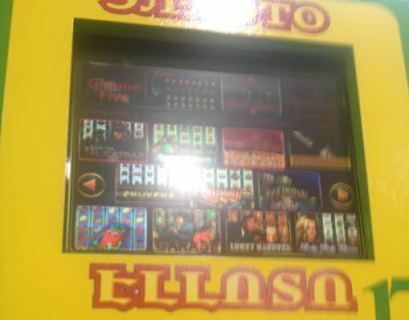 In response to the letter by HCA Vanadzor, the RA State Revenue Committee informed that in the future the RA Ministry of Finance is going to submit a legislative suggestion on applying the RA Law on Games of Chance and Casinos on ELLOTTO terminals as well. This will impose restrictions on the installation places of ELLOTTO terminals. After the court session, A. Sakunts’ representative maintains that an obviously discriminatory and degrading approach was manifested towards Sakunts; the act of carrying out the search was degrading and he felt degraded. 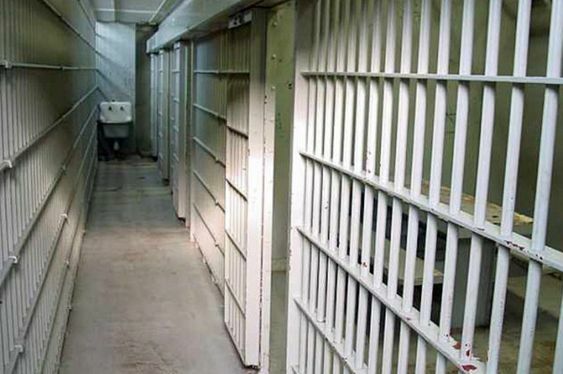 The tense relations between convicts of “Hrazdan” Penitentiary Institution D. Kh. and G. A., with whom he was sharing the cell, escalated to an argument, which, instead of being settled by the officers of the penitentiary institution, was “settled” by Andranik Hayrapetyan, who enjoys authority in the penitentiary institution and, as defined by the convicts, is a “kingpin”, and his supporters. Hence, we are in the process of learning how to live and act in free conditions. 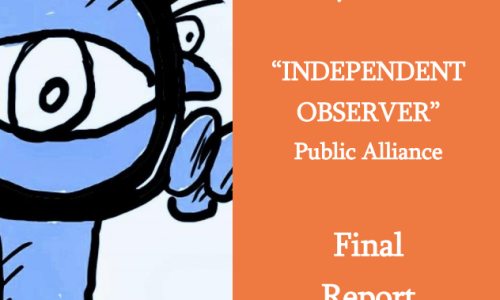 On the one hand civil society has to cooperate with government; on the other, it has to continue to serve as a vigilant watchdog over the authorities to safeguard society against any possible abuses of the new government. 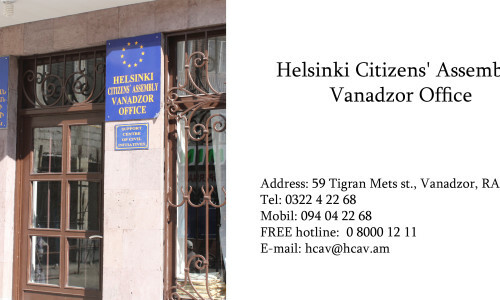 Helsinki Citizens’ Assembly-Vanadzor (HCA Vanadzor) presents its next report on the human rights situation in the Armed Forces. 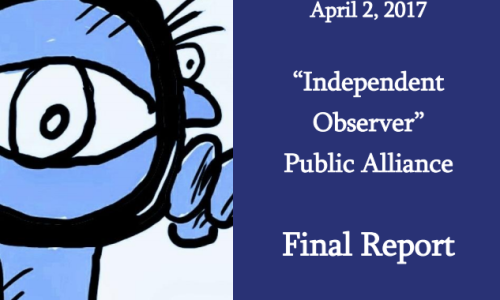 The issues identified and studied in the report are related to military discipline, the incentives and penalties provided to servicemen, the non-statutory relations, the opportunities for effective legal protection and the appeal mechanisms and their effectiveness, the situation of quality medical assistance and service, the conditions of military service and so forth. 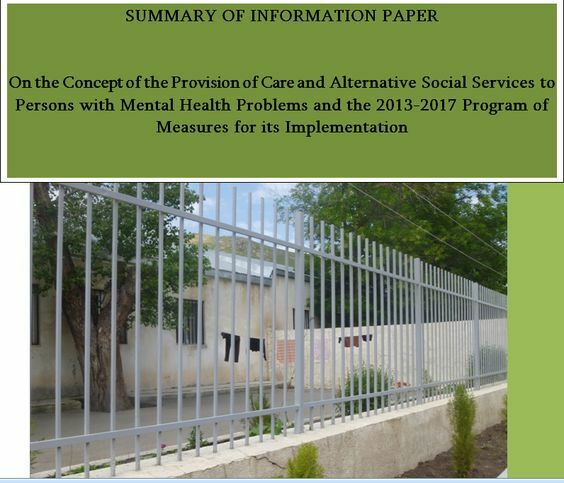 HCA Vanadzor presents an information paper on the Concept of the Provision of Care and Alternative Social Services to Persons with Mental Health Problems, which was approved by the RA Government on May 2, 2013, and the situation of the execution of measures ensuring the Concept’s implementation. 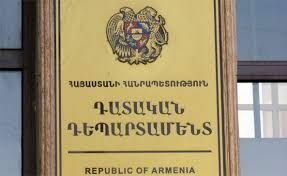 According to the information obtained by Helsinki Citizens’ Assembly-Vanadzor from mass media outlets, official sources and the relatives of the deceased servicemen, 24 servicemen of the Armed Forces of the Republic of Armenia and the Republic of Artsakh/Nagorno-Karabakh died in the first half of 2018. Aim: to develop grass-root civic initiatives in Armenia by developing competences of representatives of local civic groups leading 4 concrete civic campaigns. Aim: To cope with the issue of torture in joint efforts by making a contribution through the prevention of torture, the improvement of compensation mechanisms and documentation of torture as well as the provision of individual psychological and social rehabilitation services to torture survivors and their families. Aim: to promote compliance of the RA police actions with the requirements of a democratic and lawful state. 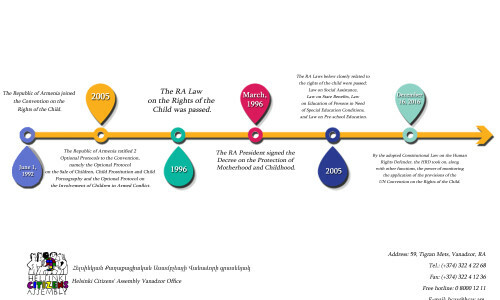 Aim: The aim of the project is to raise the effectivity of the protection of the rights of target groups in the RA. The project is aimed at the implementation of the Organization’s strategy. Aim: To support the implementation of the strategy of the Organization.